Here is a list of our bike brands and links to their websites where you can find the latest information on all the models available. Today, we've added to our mission: Help the world use the bicycle as a simple solution to complex problems. The bicycle is the most efficient form of human transportation. It can combat climate change, ease urban congestion, and build human fitness. It brings us together, yet allows us to escape. And it takes us places we would never see any other way. Trek. We believe in bikes. Click here to see the full TREK range. Tern bikes fold using an N-Fold technology that rotates the front wheel 180 degrees while keeping the handlebar facing straight. Tern bicycles designs and manufacture folding bicycles for urban transport with a focus on portability and utility. We are dedicated to the goal of sustainable transportation. Start planning for your next dream ride today! Santa Cruz Bicycles was founded in 1993 in a space the size of a single car garage in Santa Cruz California. Our first bike, the Tazmon, was a single pivot dual suspension bike that rattled established sensibilities and helped define our then- ethos of "simply advanced." That bike was the cornerstone for a brand that was founded on the notion of doing things our own way in order to build the best. We have been rattling sensibilities ever since. At Pivot Cycles we are driven to perfection by building the highest performance bicycles and paying painstaking attention to every last detail so that you don't have to. Pivot Cycles, where performance has been redefined! Redline is dominantly known for their long heritage in BMX racing. They are often referred to as the original BMX bicycle manufacturer having innovated many revolutionary components for the sport such as tubular chromoly forks and cranks. Founded in 2006 by BMX freestyle legend Dave Mirra, Mirraco Bike Company sells all manner of BMX race and stunt bicycles. Colony BMX was Australia's first rider owned brand to achieve international success. Started by Clint Millar - one of the pioneering riders of Australian BMX, Colony has become the staple brand for many. Academy BMX offers an amazing range of quality bikes at value you can't beat. If you're looking for an entry level BMX bike then check out what Academy BMX has to offer. 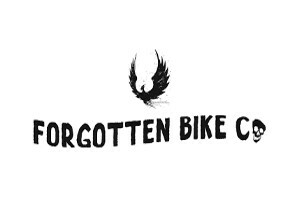 Forgotten Bike Co is an Australian BMX brand with a range of custom designed complete bikes. The delicate task of balancing is the most difficult component to master when learning to ride a bike. Bladerunna balance bikes make it child's play! The cool design and sharp lines of the Bladerunna will mean your toddler is the King of the footpath!